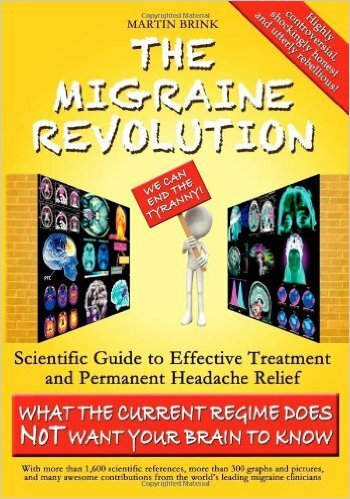 Where can I read more about Neurofeedback? 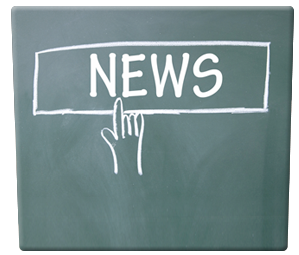 While we try to provide one of the world’s most comprehensive and readable sources of information about Neurofeedback via this website, we are often asked where clients or professionals can find out more about Neurofeedback. Any potential new clients can receive a free copy of ‘A Symphony In The Brain’ at their initial appointment; we just ask that you return it if you decide not to do Neurofeedback with BrainTrainUT. 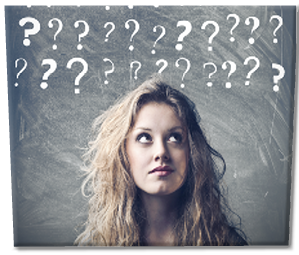 People new to Neurofeedback are usually unaware that there are multiple approaches to Neurofeedback. One of the benefits of coming to BrainTrainUT as a client is that we have already done the research in this very complex field and continue to review the leading edge. 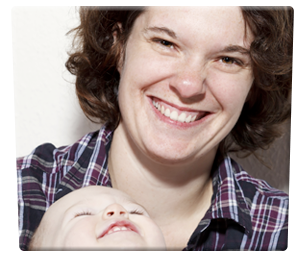 We are also often approached by aspiring Neurofeedback Practitioners who have purchased equipment costing thousands and are looking for training. They are usually unaware that there are multiple modalities, all guided by their own philosophies. Each philosophy determines the protocols used, which in turn determines the equipment used. By choosing equipment first you are locking yourself into particular protocols and a particular philosophy, which might be 20 years old ! If anyone is thinking about getting into Neurofeedback professionally we believe it is important to be informed by the history to understand where various philosophies come from and to be able to put the marketing claims of the various equipment and training suppliers into context. 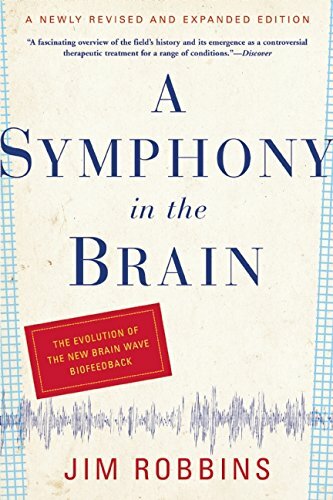 Jim Robbins’ A Symphony in the Brain: The Evolution of the New Brain Wave Biofeedback by Jim Robbins (Aug 5 2008) is a well written and engaging story about Neurofeedback, the people, and the technology; it also speculates about the future. We recommend you buy the 2008 2nd Edition, as a lot has happened in the 14 years since the book first came out in 2000. As 2008 is several years ago this will not give the fully up to date story but is a ‘must read’ for anyone interested in the field. Pages 262 – 266 describe some of the key differentiators of the EEG Info approach to Neurofeedback, and the controversy and polar views regarding the dependence on QEEG ‘BrainMaps’. 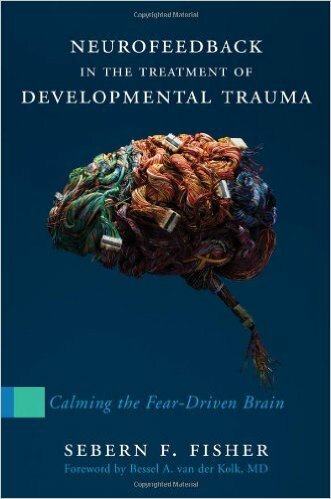 Published in 2014, Neurofeedback in the Treatment of Developmental Trauma: Calming the Fear-driven Brain is an excellent description of how childrens’ early experiences effect not only the way their brain works, but how neurological development can be impacted by early trauma, which can be as basic as a child being separated from its mother, and the power of Neurofeedback to address this. 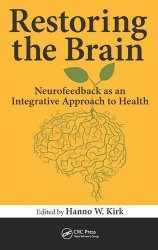 It goes into a lot of detail about Neurofeedback protocols used by the author, though it leaves out key parts of the field being applied in this area. Jim Robbins’ book explains some of the fractured historical relationships between key figures in the Neurofeedback field, including the author, which might help to explain this. 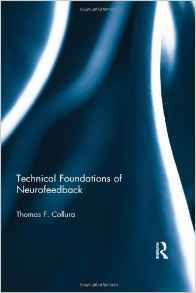 Tom Coll ura, founder on BrainMaster, in his 2013 book Technical Foundations of Neurofeedback (Routledge Monograph Series on Neurotherapy and QEEG Neuroscience) describes not only the foundations of Neurofeedback but also issues some strong cautions against the indiscriminate application of normative Neurofeedback.